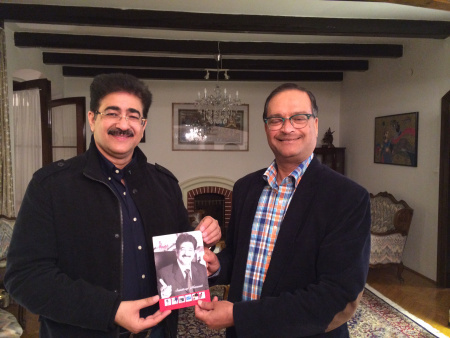 The presence of Sandeep Marwah enhanced the level of our participation in the top notch festival of Hungary at 11th Miskolc International Film Festivalâ€ said H.E. Malay Mishra Indian Ambassador to Hungary. Screening of Indian Films, participation of Sandeep Marwah in International jury, his acceptance as chief guest of the India day, Master class by him, inauguration of exhibition of film posters to celebrate 100 years of Indian Cinema, Indian food festival and honoring Sandeep Marwah as five times world record holder in media added new energy to the whole festival of 10 days at Miskolc. To develop and promote relations between two countries, Indo Hungarian Film Association in friendship with Marwah Studios announced students exchange program, teachers exchange program, scholarship for the deserving student at AAFT, festival of films from Hungary, making of short film in India by Hungarian Director and making of full length film in collaborations are sum of the benefits announced by Sandeep Marwah during festival.